The e-government department has set up an investigation into the training programme and its outcomes. An internship programme meant to equip 50 youth with specialised ICT skills has taken a sour turn, with the Gauteng Department of E-government investigating whether there was fraudulent intent on the part of the companies it partnered with. Yesterday, the department said it has instituted a forensic investigation into three private companies it partnered with for an artificial intelligence (AI) and robotics training programme of 50 interns that took place in Germany. 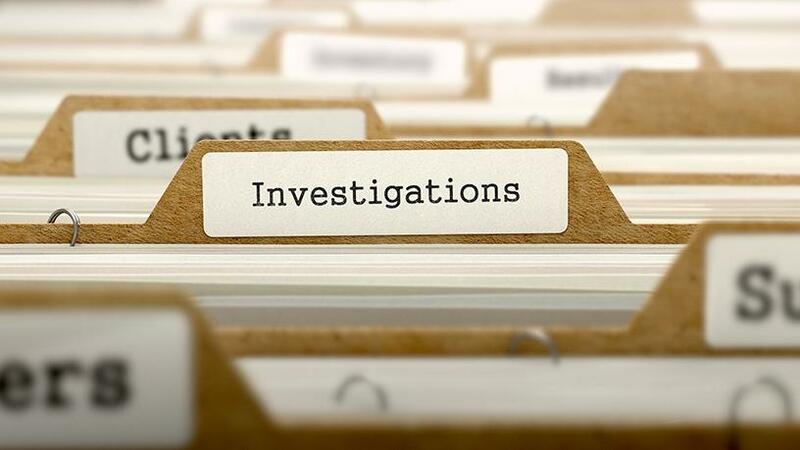 The three companies under investigation are: Ntsumi Telecommunications, Liaport Africa and IBA Global Training. According to the department, it decided to investigate after the interns expressed dissatisfaction with the entire initiative, and indicated they had not received a quality internship programme from the partner companies. "We want to satisfy ourselves as to whether the organisers of this programme had an ulterior motive when they approached the department for partnership. If this report reveals fraudulent activity we intend to lay criminal charges. We also intend to institute civil action to recover the money spent by the department." However, Emiley Vollmer, president of IBA, strongly refutes any claims of wrong-doing on the part of her organisation, saying the company has no reason to take advantage of unemployed youth. In line with its ICT mandate and developing youth skills in emerging technologies, such as AI and robotics, the department says it accepted a proposal to partner with Ntsumi, Liaport and IBA. The partnership agreement with the department and these companies dates back to July 2016. These firms, together with the National Youth Development Agency (NYDA), approached the department in search of 50 ambitious, pro-active interns who would be trained in AI, semantic texting and robotics in Germany, it reveals. The e-government entity says the opportunity presented was for a period of 12 months, where participants were to study in Germany or Belgium, and later continue learning in SA for the remainder of the programme. Based on the agreement, Gauteng's e-government says, it was responsible for sponsoring the participants with training and stipends. IBA would select participants, arrange two weeks' training in Germany and facilitate online training in SA. Vollmer explains her company issued a nation-wide call for over 100 young people to participate in a specialised-skills training course in Germany. At the time, IBA already had 50 young people to sponsor for the programme but was looking for more participants. As a result of its partnership with NYDA, which saw nine others added to the list of people to be trained, IBA still needed more. It was at this point that the e-government department was approached and it offered 50 participants to take part in the programme. According to Vollmer, things went south once the participants were in Germany and IBA realised that not all of them were interested in receiving training but expected to be employed at the end of the programme. Something it did not see coming, she adds, was that for some it was the first time they were exposed to such high-tech. This, according to her, made things really bad as the students would refuse the training. She goes on to say the company's mistake was maybe not refining the search for young people to participate in the training programme. "We did not take young people to throw them to the wolves. We took this training very seriously as it would contribute to the creation of employment opportunities." When the students returned to SA, they started the online training programme facilitated by IBA from January to April 2017, states the department. This was a self-study programme at home. According to the department, they were paid a stipend of R4 000 per month from 1 February to 30 April 2017. A total of three students dropped out during this online training programme. It states: "They were dissatisfied with their treatment by IBA as their stipends were reduced to R1 700 per month and they were not employed as trainees in the ICT field. They subsequently left IBA and returned to the Department of E-government." However, Vollmer says these allegations are untrue as the students received their stipends in full. The students were also required to participate in an exam to test their knowledge and skills. Vollmer says out of all 109 students that went to Germany for the AI training programme, only 30 participated in the skills test. And out of the 30, only 13 passed and were absorbed by the company. "IBA issued the students who passed with employment contracts and those individuals went to work for the company as interns." Following negotiations with the other youngsters that were not employed, the department agreed to absorb them into its own youth development programme. "The intention of this programme was to offer young people work exposure in the digital space for a period of six months, August 2017 to February 2018, for a stipend of R5 000 per month. "The department believes these young people were disappointed by the other sponsors in an irresponsible manner and remained with the interns because we believe we have a responsibility to empower young people and not dash their hopes in an irresponsible manner."